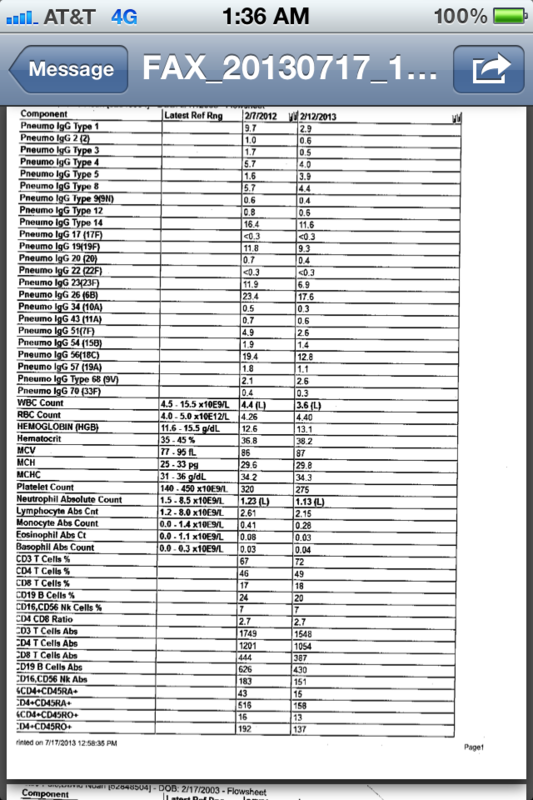 I’ve attached a copy of some of David’s immunological records…it’s not all of his health records, but this is a copy of his pneumococcal levels taken in Feb 2012, and then a year later in Feb 2013. These blood tests were taken at Dr Jennifer Puck’s office, who is one of the immunologists overseeing David’s case. She’s well respected and extremely intelligent, so what I like about her is that I feel she is aware of what is cutting edge and new in immunological research. I have faith that if an answer can be found and a treatment figured out, she will be able to help us.